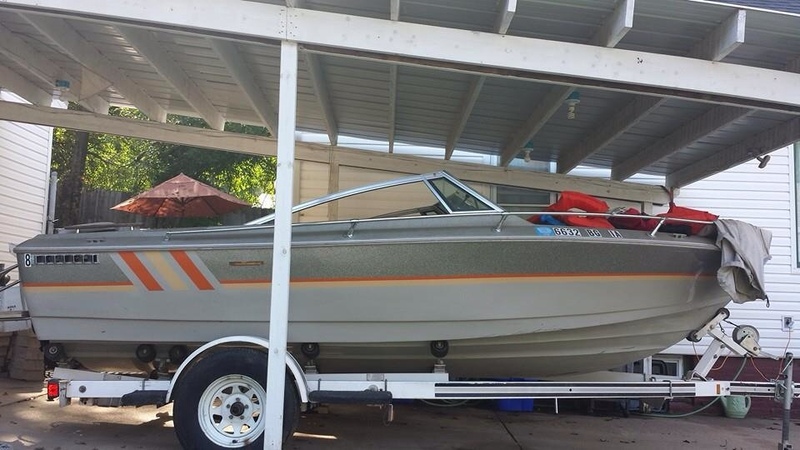 Went and picked up my free boat yesterday. Bought the trailer for $300 and it came with the boat. Guy said the motor was toast because it wasn't winterized right and took a bunch of water into the oil. Marina says it looks like they'll be able to weld the block, change the oil and be good to go!! Sent from my iPhone using Tapatalkp. cbramsey5898, 2013EcoBoostF150 and lecatlin like this. sadly nothing so far for me. Awesome deal on the boat/trailer!! Raiderfan1890, cbramsey5898 and Tuffmag like this. Yesterday, I handed in my notice to work. Raiderfan1890, Btrow, OxfordFX4 and 1 others like this. The coffee worked before this morning's shower. Raiderfan1890, Shrek, norcal_ecoscrew and 2 others like this. That's such an excellent way to start the day! scap99 and NHres like this. Trying out my revised tune. So far love it. 2013 F150 FX4 Appearance Loaded Eco. w/Max Tow. Level lift with 305/55r20 Open Country ATII Extremes. Rear Raptor Shocks. 5 Star Tuned/X4. Wagner Intercooler. AFE Stage 2 Intake. RX Catch Can/UPR CSS. Boost-Bars Raptoid Grille. 30" Hanning LED Bar. Rigid Backup Lights. JW Speaker Fogs. GlowShift Boost Gauge. Remote Access. I had a dream about punching Obama in the face. I woke up and my hand hurt, I thought for a second that it actually happened (awesome) until my hand started waking up from sleeping on it. That stranger though. A bit of a roller coaster but peaked early AND finished strong. mikemetz82, Btrow, stevenmverrill and 9 others like this. Trucks are stupid, except for Comanches and FSJs. mikemetz82 and mwemaxxowner like this.